It’s time for another monthly wrap-up! I’m not sure about you, but I’m in shock that we’re starting the fourth month of 2019. I just feel like now that I’m in my twenties, time is flying so fast. It’s crazy! I wasn’t able to post a February wrap-up because life got in the way. But I’m excited to bring you guys my March wrap-up! I had a pretty good reading month. Definitely not my best, but considering how busy life has been, I think I did pretty well! 99 Percent Mine by Sally Thorne // ★★★☆☆ // This is my first Sally Thorne book and I really didn’t love it. I felt it hard to connect to the main character, Darcy. I still hope to try The Hating Game at some point though! Be sure to check out my review for more of my thoughts! 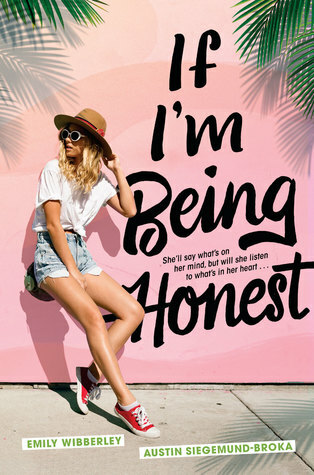 Listen to Your Heart by Kasie West // ★★★★★ // I LOVE LOVE this book. This by far is my favourite Kasie West book to date. I’m really curious to see if any of her other books (which I hope to read soon) will top this one! Small Town Hearts by Lillie Vale // ★★★★☆ // This was such a cute, contemporary! It has so many fun aspects and I love the characters. Be sure to check out my blog tour post, along with an interview with Lillie Vale! Queen of Air and Darkness by Cassandra Clare // ★★★★☆ // This book is such a solid conclusion to a rollercoaster of a series! I just absolutely love the Blackthorn clan and am sad this series is over. But, I can’t wait for more of Clare’s books! Be sure to check out my review for more of my thoughts! The Statistical Probability of Love at First Sight by Jennifer E. Smith // ★★★☆☆ // This was my second Jennifer E. Smith book and I enjoyed it just as much. It’s a super light and easy read and was a perfect one to jump into after Queen of Air and Darkness! The romance is also super cute! The Immortal Life of Henrietta Lacks by Rebecca Skloot // ★★★★☆ // I had to read this book for an assignment for school and I really enjoyed it. I don’t typically read non-fiction but this one is super interesting. I’m really curious to watch the movie, with Oprah! The Red Scrolls of Magic by Cassandra Clare and Wesley Chu // ★★★★★ // I absolutely adored this book. I am so excited for this trilogy as a whole now that I’ve read the first book. Also, I didn’t think I could love Magnus more than I already did. Spoiler alert: It’s totally possible. Overall, I think this was a good reading month. I’m happy with the amount of books I read (especially with Queen of Air and Darkness thrown in there)! I’m excited to see how April goes, because I’m participating in my first ever readathon – the OWLs readathon! We’ll see how well I do at the end of the month. Next PostIt's April 🌷 40 Must Read New Releases! Small Town Hearts so really good! Also, I didn’t really enjoy 99 Percent Mine either! Ah, I’m happy to hear that! I’ve definitely been hearing some mixed reviews about it! You had such a solid reading month! AND you read Queen of Air Darkness?! *throws confetti in the air* GO VICTORIA GOOOO!!!!!! Let’s hope your April is even better! Happy reading!